It has been a long time coming, but the end of 2014 is now in sight when new Parliamentary regulations in the UK will change for online gambling firms. First of October is D-Day!! The online gambling industry is turmoil over the decision made for all offshore licensees to apply for a secondary license to offer services to UK residents, as well as be liable to pay 15% tax. All these many years companies such as William Hill – just for example – have been operating out of Gibraltar and other White Listed "British" territories, just to avoid having to pay such heavy tax. Gaming firms are now compelled to announce plans to stop offering services to UK-facing resident, or adjust what they offer inside British borders. This bill – the U. K. Gambling, License and Advertising Bill, was passed in May. It will effect Online bingo websites, casinos, pokers rooms, lottery sales, you name it – any gambling activity. Already several popular websites have pulled out, announced plans to pull out of the market, or substantially altered what they are able to offer to the UK public. How these businesses can possibly expect European only operations to fill their coffers without the player-base of millions of British players, we have no idea. But they are obviously willing to take the risk. Gambling is after all a high risk industry for everyone concerned. One of the first to make an announcement was Mansion Poker, who intends to withdraw completely. Reasons for the withdrawal have been attributed to the new regulations, and all members have been advised to withdraw their bankrolls. These members have also been encouraged to switch to Titanbet Poker, where their loyalty points will be transferred. Pokerstars on the flip side of the coin, are opening a dedicated UK-facing poker site. We believe this might just be the first in an exodus list of firms to take the same decision. However, but the same token Best of Breed British firms such as Paddy Power, William Hill, Ladbrokes, 888, Foxy, and many more would never be able to take such a risk. We believe they are going to have to thank their lucky stars for the tax break they have enjoyed for such a long time, and bite-the-bullet. This is not a nationalization exercise – everyone, and every other land based business has to pay tax, and unfortunately these businesses should be made to pay too. There are going to be some interesting times in the online gambling industry for the next few years. There is always someone saying something about the dangers of gambling online. 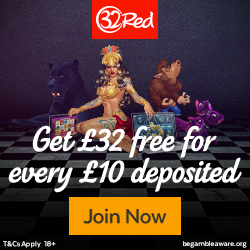 Many "abstainers&quot from these games believe that gambling is a social problem, whilst the majority of gamblers know the truth – this is a form of entertainment. So, studies have been conducted on whether gambling habits have changed since the introduction of this industry, and if problem gambling is on the increase. Not many changes have been extrapolated from most of these problem gambling studies. However in a first in its kind research from Nottingham Trent University, leisure gamblers have now been studied, and in this case are referred to as positive players. Fundamentally positive players have been found to take personal responsibility for their gambling experiences. They make use of protective strategies and stick to these. For example they may go out to gamble with a certain amount of money, and leave all bank cards at home, in the case of live casinos players. Online gamblers might use similar strategies such as setting strict limits, or self-exclusion for periods of time. Leisure gamblers who are positive players only gamble away what they can afford to spend. They budget for this form of entertainment in the same way as they might for going to movies, or out for dinner. The premise of this study is that it counters a negative focus. In other words – the study of positive player looks into practices and/or motivations which neutralises a negative focus. Negative emphasis of any activity often encourages a "forbidden-fruit-effect". However by focussing on the positive, this may resonate with players who might pooh-pooh messages regarding the risk of gambling. Results were extrapolated from an online survey where 1,484 leisure gamblers participated, and 209 problem gamblers did too. Most positive players were found to enjoy other leisure activities too, and that their motivation for playing was quite simply to have some fun. In fact the desire of catching a really big win is part of the fun for these players. They predetermined their own risk limits in both time and money terms, as well as preferred playing on the internet. In fact 93% of the study group preferred to gamble online. The knock-on effect of this knowledge has led to a re-think that online gambling can be more dangerous than playing in a land casino. While leisure gamblers were happy to go it alone, problem gamblers were often found to need a more social environment, which indicated that gambling in isolation was not necessarily as unhealthy as previous studies had supposed. Food for thought we believe! NetEnt, Net Entertainment NE AB (publ) has signed an agreement with UK focused operator Betfair which is one of the world’s largest international online sports betting providers. Founded in 1999 Betfair is a pioneer within online gaming holding gambling licenses in Gibraltar, Malta, Spain, Italy, the United States and Australia. Betfair’s revenues amounted to £387m in 2013 and the company has more than 950,000 active customers. "We are very excited that Betfair has selected us as a partner and I wish them a warm welcome as a customer. This agreement will further strengthen NetEnt’s exposure on the UK market but also in other parts of Europe." comments Björn Krantz, Managing Director in Net Entertainment Malta Ltd.
Sparks will fly as Microgaming’s Terminator 2™ online slot goes live with Microgaming operators! Terminator 2: Judgment Day featured an all-star Hollywood cast and won four Academy Awards by setting new standards in visual and sound effects. With worldwide box office sales of over $500 million, it is one of the highest grossing films of all time! Microgaming has been working energetically to develop an online slot that takes all the elements of what made the film a success and deliver it to the world of online gaming. This cutting-edge game includes all of the lead actors, Arnold Schwarzenegger, Linda Hamilton and Robert Patrick. The use of original film footage, accompanied by the mesmerising original soundtrack, ensures an action-packed player experience with many industry first game features. 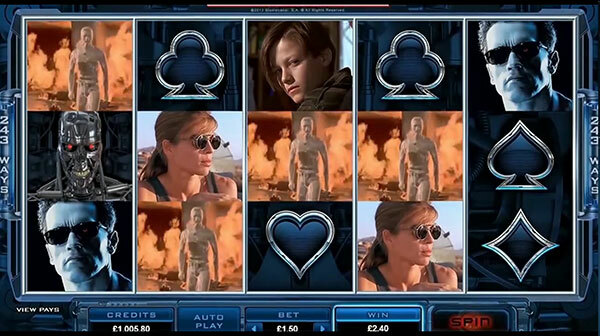 When a player hits a five-of-a-kind they are rewarded not only with a big payout, but with memorable clips from the film. 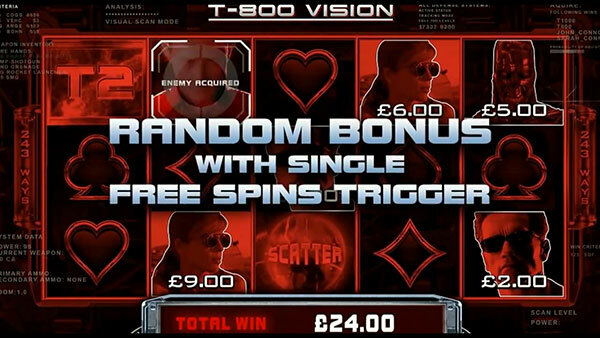 Look out for the T-800 Vision bonus feature, triggered at random during any non-winning spin, which positions the player experience through the eyes of the Terminator as he scans for targets to award higher wins. The best part about this mode is that only a single scatter symbol is required to activate the free spins feature, which sees the slot expand from a 243 ways to 1,024 ways game. This will be a novel experience for players as it is an industry first! During the 10 free spins, the T-1000 symbol acts as a substitute by morphing into any other character to award the highest possible win for that symbol combination. Roger Raatgever, CEO of Microgaming, comments: "We’ve taken the core elements of the iconic Terminator 2 film to create an online slot that does the brand justice. Visually it is stunning and it has a fitting game mechanic that is completely unique to the online gaming market. Our operators and their players will be awestruck by our creation; we are incredibly excited about the game launch." Rand Marlis, President of Creative Licensing Corporation, which represents Studiocanal for Terminator 2 licensing, says: "Microgaming is an expert in licensing big brands and we had no doubt that they would create a T2 slot that would perfectly represent the film’s legendary status. The end result really has surpassed our expectations and the online game is a masterpiece; I’m delighted that it is now live for everyone to play and enjoy. Working with Microgaming is a real pleasure and we look forward to a long-lasting relationship." Terminator 2 online slot is live with Microgaming casino and Quickfire operators 4th of June. If you believe you are taking a gamble when investing in shares on the Stock Exchange, you would probably be correct. But this type of investment is more scientific than simply popping money in and pulling the arm of a slot machine. Now a slot machine is a random number game, and the player either wins or loses his money, but trading in stocks entails an educated guess, in the well-established game of securities exchange trading. Currently, as the continued growth in online gambling growth is enjoyed by players, investors are showing a great deal of confidence in gambling on this game. This essentially means that shares are being traded and bought, and are showing growth for investors. According to the Forbes report – UK online Gambling concerns are being seen as excellent opportunities to invest for the wise speculator. This industry in the UK is a mature industry that has been showing continued upward, and exponential growth since first inception in the late 1990’s. The rest of the world has seriously fallen behind in the uptake of online gambling as an industry, as they find themselves embroiled in regulatory in-fighting, rather than taking a free-market approach. Most Governments seem to be hell-bent on the ideology of monopolistic control. The free-market approach taken by the UK Government has seen the industry develop into a highly technical, green-type economy. The nature of this industry has therefore proven itself to be sustainable in terms of lasting growth, as well as high profitability. Investing in any industry or firm entails making an informed choice, at the right time. Whilst speaking of informed choices, it pays to note that previously no tax was levied on these gaming concerns if they were situate offshore from the British Isles. This is set to change in December 2014, when taxes will be levied at firms offering wagers to UK-Facing players. This will be a point of sale tax, and while we are not sure how these funds will be collected, however HMCRS seems confident of making these collections from offshore situated brands. For a short while this tax news had some effect on investor confidence, but with the positive Forbes report, this negative attitude seems to have changed. Mobile gambling is rolling out fast, and proving to be immensely popular too, so, this together with generally expected growth, should ensure continued investor confidence.